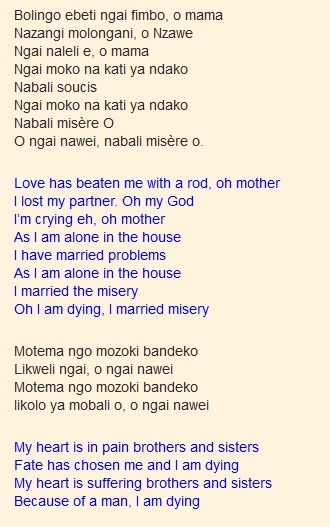 The song Nabali Misère translates to “I married misery”. 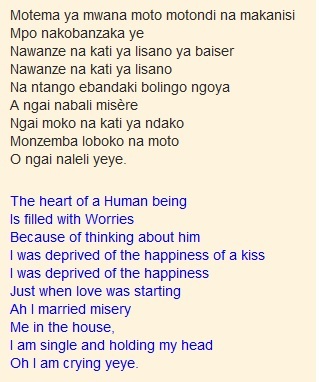 It was composed by Mayaula Mayoni. The lead vocal is soulfully delivered by Djo Mpoyi Kaninda. The chorus line features Lukoki Diatho, Lola Checain and Wuta Mayi. 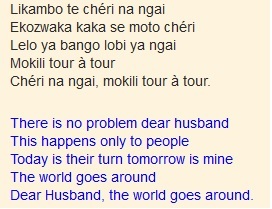 The song is about a wife who bitterly regrets being abandoned by her husband at the beginning of the marriage. She thinks its is because of a curse. But upon further reflection, she realizes that it is rumours that are the basis of the misunderstanding between she and her husband. Situation, she laments with the hope of seeing her husband come back home. 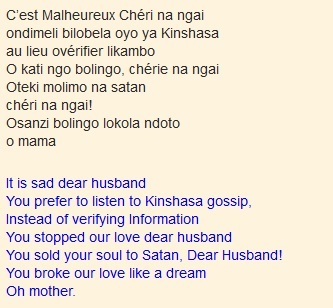 The song earned Mayaula Mayoni Zairean composer of the year honours in 1979. It was also a huge hit all over East Central Africa. 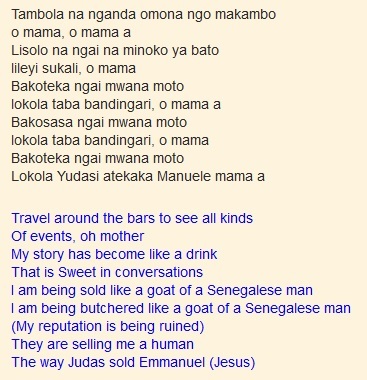 The phrase “Kobala Misere” earned its way into Zairean lexicon. It became an expression which was used to mean marrying a poor husband or marrying a husband who makes you miserable. Mayaula Mayoni joined TPOK Jazz at the end of 1973 as a rhythm guitarist and composer. Prior to that he had been a left winger for the top Zairean club of the time (AS Vita). He played for the Vita side the reached the finals of the Africa Champions cup. He also played for the Zairean national team. He never was fully a member of TPOK Jazz however. He was more of a freelance composer who provided his songs to various bands. 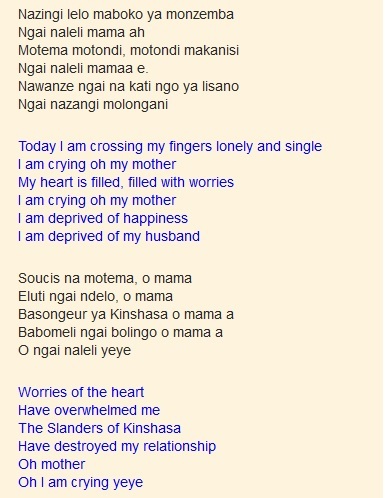 Aside from Nabali Misere, other of TPOK Jazz biggest hits of the 1970s we his compositions including Bondowe, Bondowe II and Momi. He won Zairean composer of the year honours three times. After leaving TPOK Jazz in 1979, he continued with his prolific career for another two decades. His last album (Bikini) came in 2000. He passed away in Brussels in 2010. This entry was posted in Franco & TPOK Jazz songs, Songs, TPOK Jazz songs and tagged Franco and TPOK Jazz songs, Mayaula Mayoni, Mayaula Mayoni songs. Bookmark the permalink. 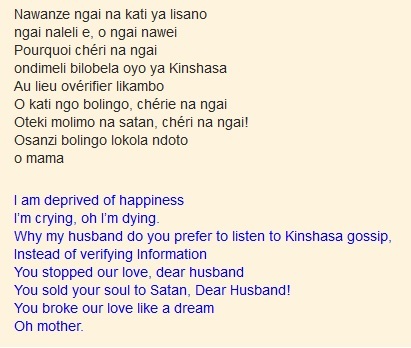 Very very nice song especially when translated to non-Congolese like me from Kenya.I love English translated form. The compositions is so touching. I love this and keep the good job. Mayaula Mayoni: Rhythm guitarist, composer, singer, football player and university graduate. RIP. nabali souci.relationship challanges will never seize.